I Play In A Pirate Ship! 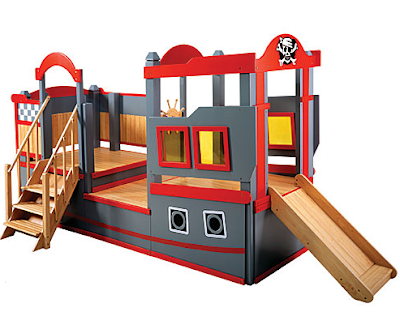 Home » I Play In A Pirate Ship! 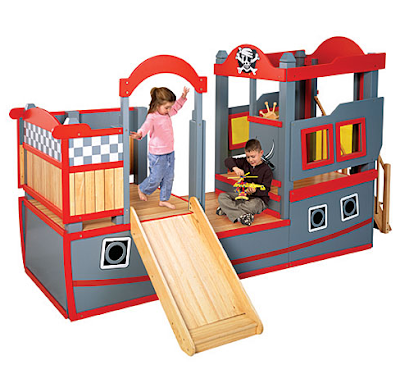 Posh Tots, the ultimate location for unique kids stuff, has this great Pirate Ship that has multi-level decks, stairs, and a slide. 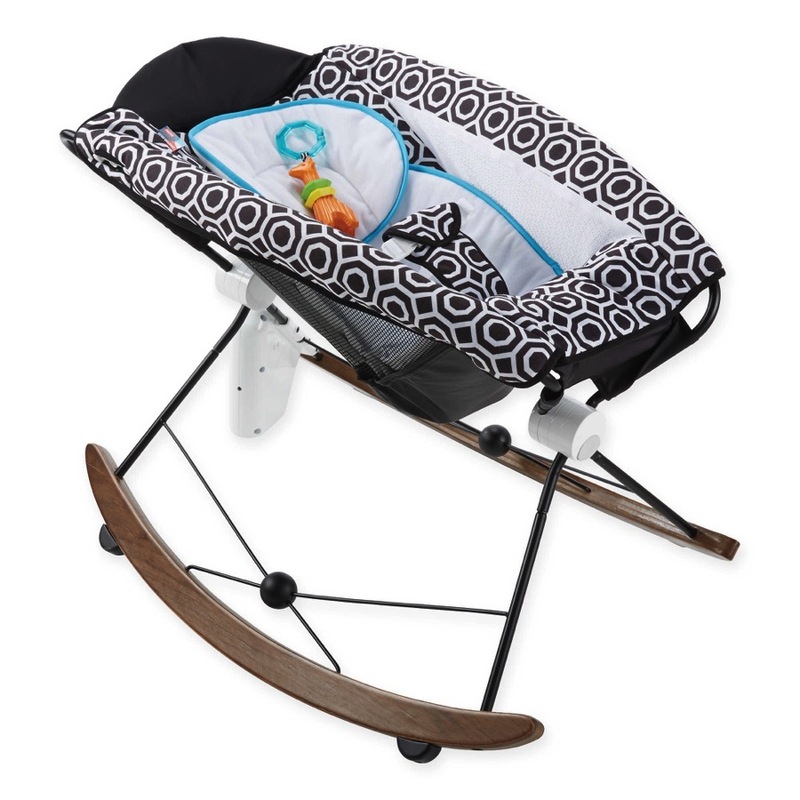 It has great areas for your kids to just sit and read, play hide and go seek or hang out and chat.If your husband is creative, he may be able to hang a television from the top deck to make a cool place to watch favorite movies. Make sure that you have lots of room in your house because it is designed for indoor use only.